﻿ Nataya Round House Coral Bay Resort, Kampot | FROM $72 - SAVE ON AGODA! "The staff are nice, the place is very clean." 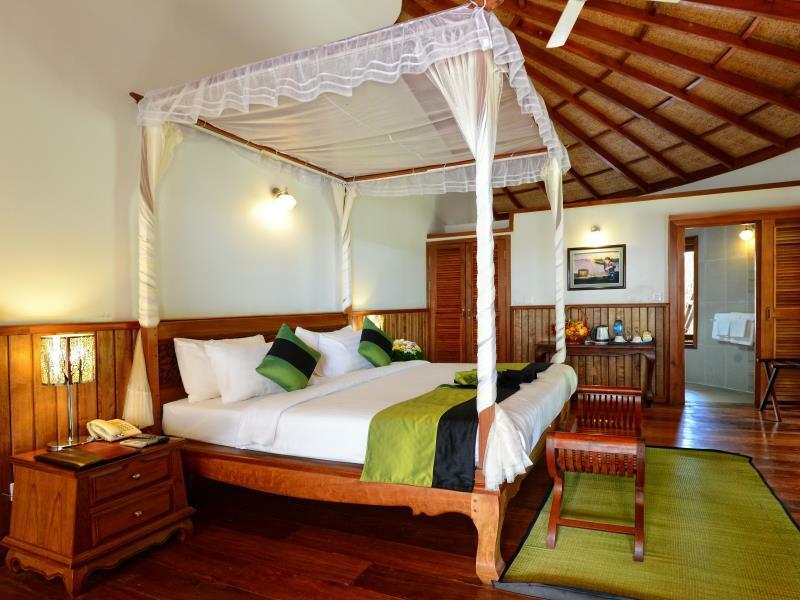 Have a question for Nataya Round House Coral Bay Resort? "Clean, Safe and friendly staff." "I have been twice now (live in Phnom Penh and go for retreat/break) and each time it was wonderful and more improvements were made to the grounds the second tim..."
"We went to Nataya and had a great time relaxing, sitting at..."
The hotel features 23 beautifully appointed guest rooms, many of which include television LCD/plasma screen, internet access – wireless, internet access – wireless (complimentary), whirlpool bathtub, non smoking rooms. The hotel's recreational facilities, which include hot tub, private beach, sauna, outdoor pool, spa are designed for escape and relaxation. 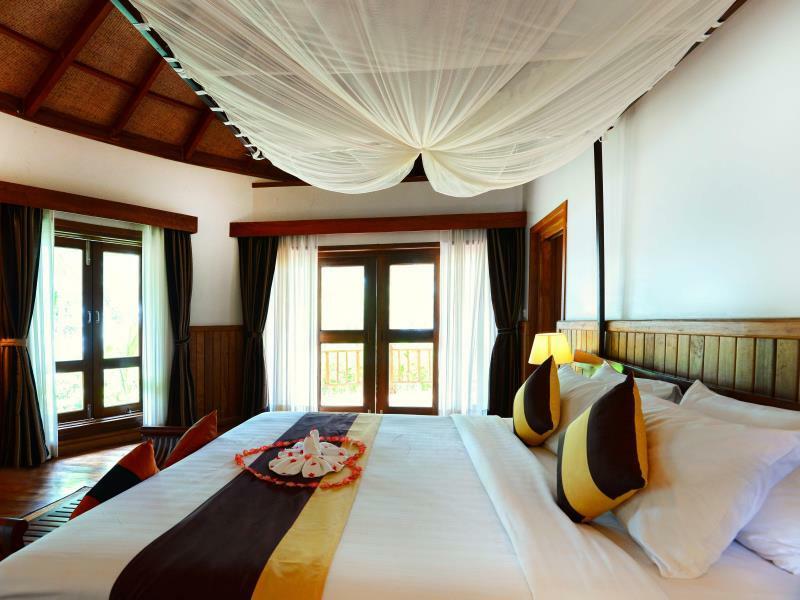 Discover an engaging blend of professional service and a wide array of features at Nataya Round House Coral Bay Resort. "Great place to relax with family." We went to Nataya and had a great time relaxing, sitting at the pool and watching the world go by. Staff were very friendly. We did the Cooking School and although it wasn't quite what we expected (we watched them cook our food), it was great to watch how to make the dishes. Rooms smelt a bit musty but were fine after some airing. No outside food and drink was able to be brought in which was a shame as drinks quite expensive, but otherwise a great time. Hostess was super lovely. The staff really try their best and are very pleasant. The hotel is in the middle of nowhere and their is no transport to Kampot. Its difficult to get a taxi or TukTuk. The gym is very poor and the breakfast was disappointing. The room was pleasant. Everything of this hotel was fine and some even beyond expectation, the hotel have good staff and swimming pool, the deign of the room also considered quite special. Other than the sea, the surrounding area are full with green area which is really relaxing. The only worst point of this hotel is after 10pm, all the staff was off and they off all th lighting at the reception area and also restaurant area, frankly speaking, without torchlight you can't go anywhere except your room. I even try to call the receptionist see whether got anyone standby, but unfortunately nobody answer the phone. If really something bad are happen, what are the guest going to del with? This point is really bad, and if possible pls warn other traveller about this. the slow drive into the resort gate cruising along the villages provided the extra excitement of the place about to discover. the security at the gate makes us feel safe with their enqueries. checking in is homely with a nice environment. going into the room is interesting with all the various facilities. bath tub outside to the open air is exciting. trying out the pool at night after hot afternoon sun, provided the warm water that serenades my tires body. i slept peacefully except for a few mosquito that managed to enter the mosquito netting. i love the people and guest in the resort as all seems to enjoy themselves, including us. if you loves fresh oysters, this is a paradise undiscovered. go and experienced it as no words can describe it. 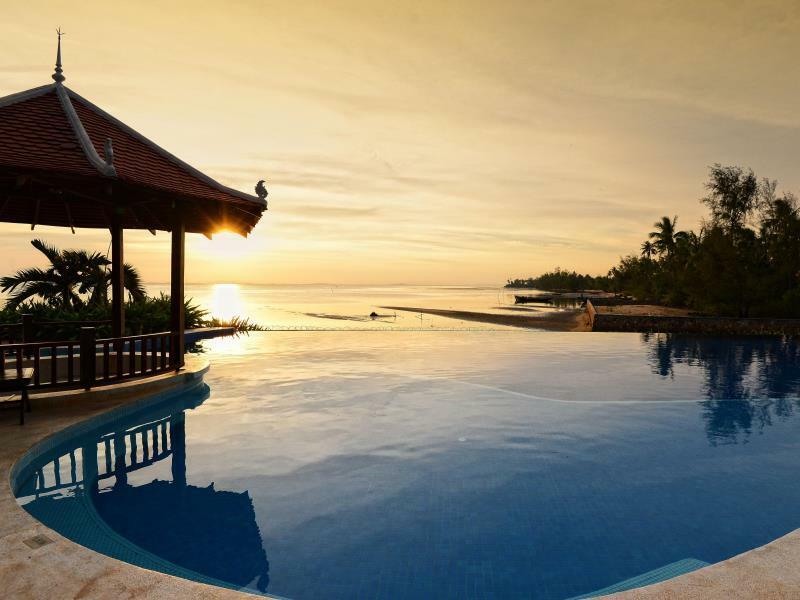 This hotel/resort looked great online. First problem is that is was 12km from Kampot where we were staying and no available Tuk tuks or taxis. We had to wait for one to come from town each time. It is very rustic. I was also captured by the salt water pool which is just a corded off piece of the filthy ocean. The ocean was disgusting and so was that pool. The staff was nice and the place was clean so if you’re looking for remote and rustic this is the place for you. The food was good at the restaurant. 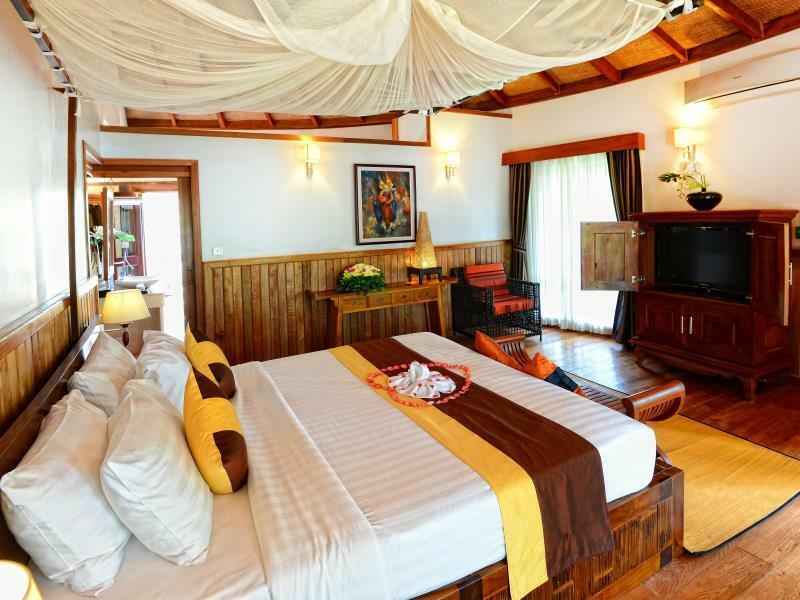 Nataya resort is situated in a beautiful location on the coast close to Kampot. The swimming pool is sensational. It was a really nice place to stay, very quiet. The staff do its best to server their customers. The only deception was the wheel chair accessibility. It was not 100% true. The room has 3 steps and some other facilities also. During my breakfast I got a tiny lizard in my coffee glass, it’s hard to describe my feeling to every one when I got it ( lizard) in my mouth. I stayed in room 110 ( around 21Dec/17 something like that). Staff service was not good, save for the supervisor at the restaurant who was the best employee at the resort. The restaurant had good food but was overpriced for what is was with dishes averaging $12. Lastly, the bathroom in our bungalow was not the cleanest with the shower being outside which was fine but it had leaves and dirt when we used it the first night and our towels were dirty... I'd recommend going for dinner to watch the sunset but staying somewhere else. 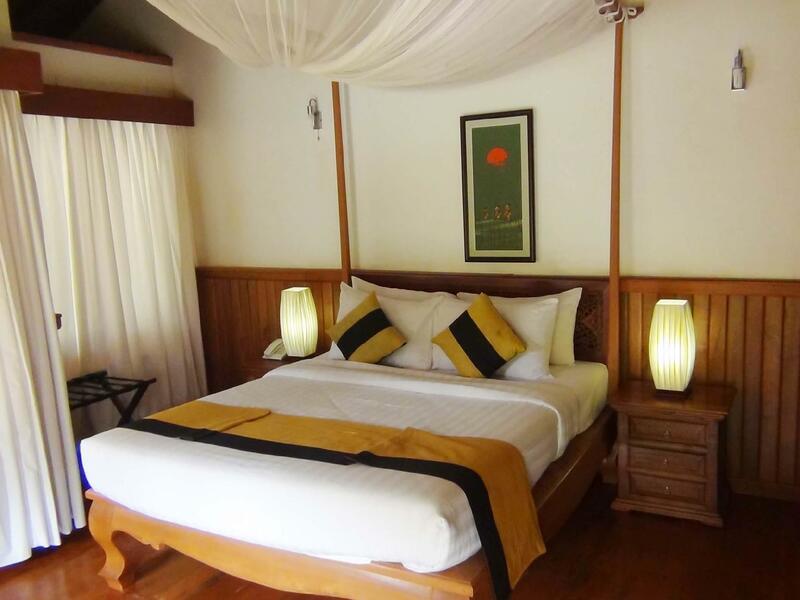 Nataya is like a Paradise if you are looking for a quiet retreat or romantic getaway. It is 17 kms. from town and it's busy nightlife/restaurant scene, so if QUIET is your thing, then check out Nataya. The beach is not a good swimming beach, but they have TWO wonderful pools, one freshwater and the other saltwater. They have horses wandering around the beautifully appointed grounds and you can rent a horse if you want to ride. The restaurant at Nataya is pricey, but excellent in quality and portions. It is heavily slanted toward SEAFOOD selections and they are FRESH! I should point out that breakfast was off a limited menu and it was great...especially the coffee! The staff at the restaurant are friendly and helpful which was great for us because we spent much of our time at the restaurant when we were at the facility because our WiFi never worked in our room, the cable TV was worthless, our refrigerator was DOA and, MOST importantly, the staff at Reception promised to help us with the few problems we had, then did NOTHING.......for THREE days (we complained each day)! You know, I could be wrong, but I just got the feeling that because we had booked our room through a discount website we were given THE room with the most problems. If that is true, then shame on them! I definitely will go back to Nataya on another visit to Kampot because it is a beautiful, peaceful spot. I just would check out the room BEFORE taking the key. I don't actually know how this place doesn't have a perfect score. Everything about it was beautiful. The staff are nice, the place is very clean. I have been twice now (live in Phnom Penh and go for retreat/break) and each time it was wonderful and more improvements were made to the grounds the second time. Got it for a good deal during off season too. The pool is my favorite. I considered never leaving. There are much dangerous things in the resort for children. For example, inlet is too strong in the pool, some horses are around the room without any safety. They provie food in unique restaurant by low quality food material against expensive price. 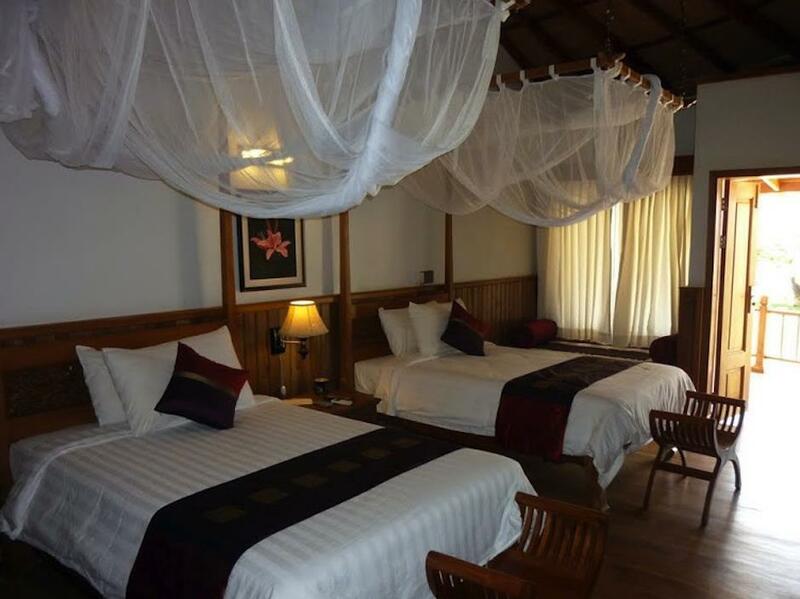 The positives: the room is gorgeous, ambience plus! Grounds are lovely too. View is very nice and wonderful to watch the sunset from our verandah. Best located rooms are 11, 12, 13. Negatives: it is 45 min from kampot in a tuk tuk in the middle of nowhere - info very misleading, expected it to be just outside kampot. Pool looks impressive at first but it is very dirty, water murky, couldn't swim the day we were leaving. Staff at reception couldn't care less about your arrival but that's not important, they need to get the pool sorted!!! 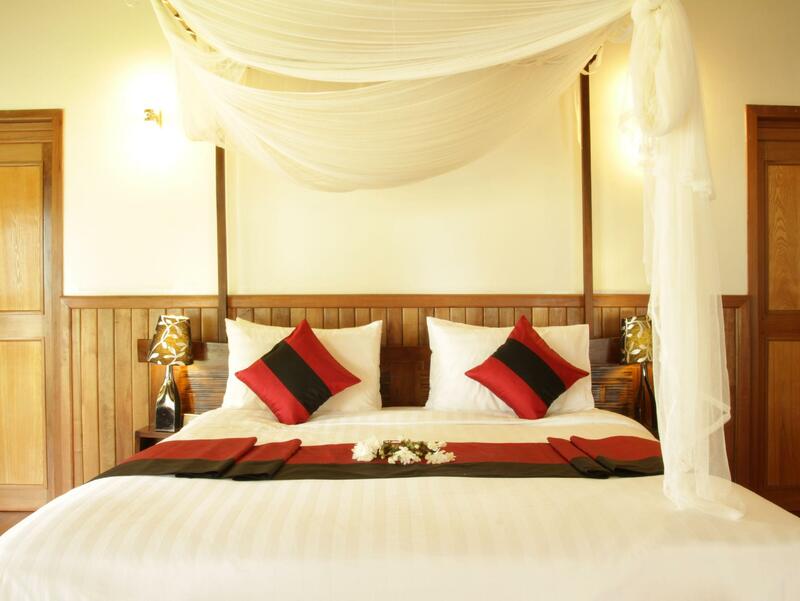 The resort occupies a beautiful piece of ground on the coast at some distance from Kampot. Once you are there, it is not easy to leave the property. No rides are offered to Kampot or other nearby areas. Accordingly we had to take all our meals at the hotel. Breakfast choice was simple and Western fare was not well prepared. Staff were very nice and helpful. However, it was obvious they had not been trained to help with the usaul traveler´s demands. Waiters were too casual and sometimes careless. Cuisine was nothing special. We (gay couple) stayed there for our trip to Bokor and Kampong. The rooms are in round pavilions with outside showers. There is a pier going out far into the sea. The staff is friendly and the surroundings are peaceful. It is quite a distance from Kampong but ideally located for the trip to Bokor. where do i start? do not stay here! the entire property is infested with mosquitos; they appear to take no measures to control them. we were eaten alive. at the dining room, all the tables were covered with ants. our room wasn't properly closed off to the outside world, which means we shared it with ants, mosquitos, frogs, and some sort of very noisy gecko that was living in the rafters. thank god the bed had a net over the top of it, because every morning the floor was covered with lizard poop. the service was very poor, especially at the front desk. they acted like it was a total inconvenience to help us book a car for the day for site seeing. this is maybe the worst hotel i've ever stayed at. do not stay here! We were two families staying in Nataya Round House Coral Bay Resort and we both were very satisfied with our stay. It was a very romantic place, with a nice view to the see, surronded with lovely garden. The pool next to the see was very romantic too. And we enjoyed very much the outside bathroom.